Happy New Year again... I guess I wrote this a lot of times to greet my friends in FB. It's still a whole New Year anyway. And now showing you the first SUNRISE of 2010 as seen from our living room. 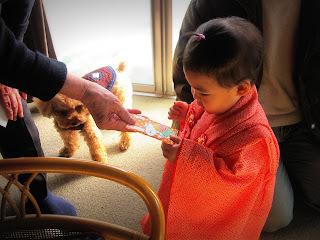 Our Lil dolly Azumi has become the center of attraction during New Year's day because she was wearing a Kimono given by my mom's MIL, Okasan, as she walked all by herself. My neighbors and some people passing by just can't help but compliment her. I guess nowadays, you rarely see kids wearing a traditional dress on Oshogatsu. Even the people in the temple we visited on the 2nd day were amused. 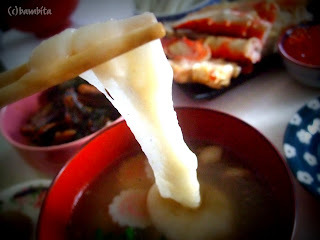 Otoshidama is a monetary gift placed in a small enevelope given by adults to the kids (and not so young) on New Year's Holiday. There are different colors and designs only made for Otoshidama. 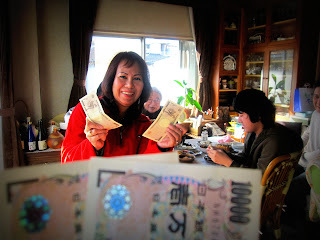 What made us all even more unexpectedly excited was when Ojisan (grandfather) handed us all money as his way of appreciation. We headed straight to my Parents In Law's after. 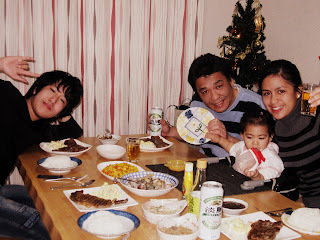 There we had our traditional New Year's food. 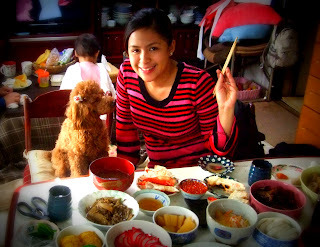 Another Japanese New year's custom is to eat Mochi for longer life. Just be careful not to choke when you eat this. 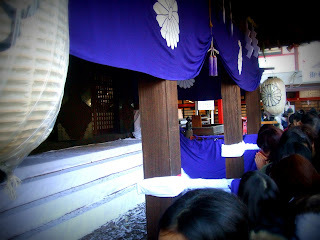 Visiting a Japanese Shrine or Temple is also one of the Japanese New Year's tradition. 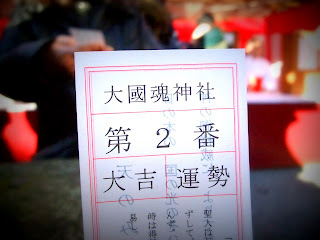 People pray for good fortunes in the coming year. You will be able to experience a festival atmosphere with various food stands and thousands of people making wishes and purchasing lucky charms for a fortunate new year. Most atmospheric is a visit to a temple at midnight on New Year's eve, when the temple's bell is rung repeatedly. I bought a fortune for 100yen and I picked up a good one..
After a long day, we treated ourselves with Steak dinner... this time it's not a tradition. Napaka cute nga ni Baby Anzu sa Japanese kimono niya. 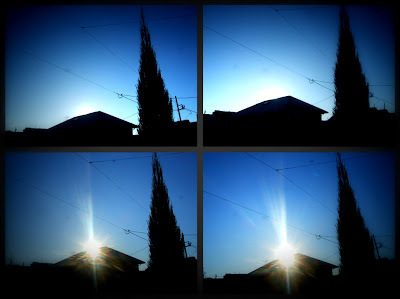 Maganda nga yung kuha mo sa first rays ng sun sa first day nang bagong taon. Parang Chinese din yng tradition nang mga Japanese na nagbibigay nang small envelopes containing money. Ang ganda nang kuha ninyo habang kumakain kayo nang steak, lol. Classical talaga ang beauty mo Bambie, hindi nakakasawa. Kaya naman mahal na mahal ka nang asawa mo. Thanks for the feel good post. God bless you all always. You New year celeb mommy bamz was a blast, and I like your center of attraction outfit, lil dolly azumi so cute in her dress hehehe. Happy New year again mommy bambie and to your family. kisses ky lil anzu for me. lovely photos Bambie! i love how you celebrated.have a blessed year! 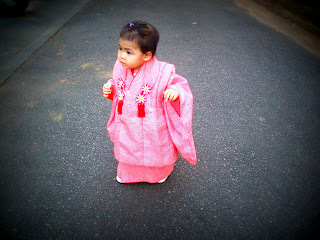 baby so cute in kimono..